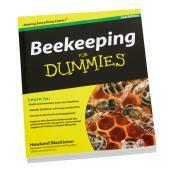 Raising bees and harvesting honey is easy with our selection of beekeeping equipment. Gloves and hats are available for proper handling, and frames for bee homes. Collect honey in jars and stick a label on the front to track the date and other information. For added convenience, choose a kit that contains multiple beekeeping accessories. Besides equipment for bee care, we also offer drinking troughs and drinker plumbing to keep larger animals watered and well-fed.